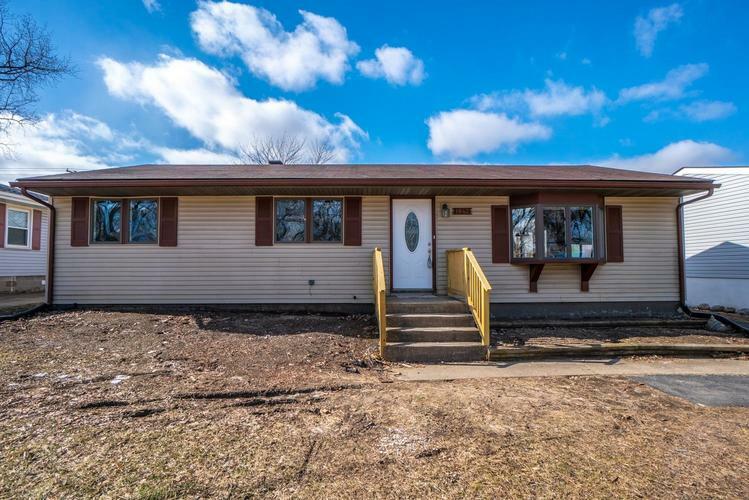 COMPLETELY UPDATED Ranch home with a fully finished basement!! Very large home in a beautiful area will be sure to to check off all of your wants in your next home: Large master suite, tiled showers, finished basement, granite counter-tops and stainless steel appliances!! Nearby access to the expressways for 40-45 minute commute to downtown Chicago. Just down the street find all your local conveniences in restaurants and shopping. Plenty of recreation with all that the Town of Griffith can provide, A short drive from the downtown area which includes local shoppes, parks and plenty of unique dining options. Also only five minutes from the Highland Grove shopping center for your added convenience. Call to schedule your showing today! Directions:Take Ridge East to Broad St, North to 37th Ave, East to N Lafayette St. North to home.